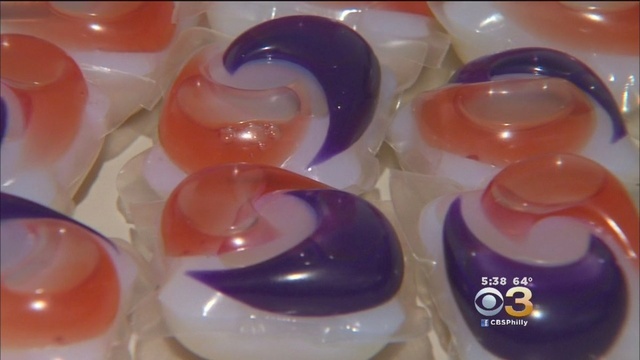 An alarming new trend involving teenagers eating detergent capsules and posting the videos on YouTube could “put them in danger”, health officials have warned. The concerning 'Tide Pod Challenge' phenomenon has spread across social media since the turn of the year. Teenagers have filmed themselves biting into Tide laundry detergent capsules, with some of the videos racking up more than 100,000 hits before being removed by YouTube. The first mention of the 'Tide Pod Challenge' on YouTube dates back to June 2014, while parody website The Onion followed this up with a satirical op-ed about the pods in 2015. A video by CollegeHumor titled ‘Don't Eat the Laundry Pods’ posted in March 2017 has been viewed more than three million times and towards the end of last year it spread into a popular meme. So. How stupid are these people? eddie wrote: An alarming new trend involving teenagers eating detergent capsules and posting the videos on YouTube could “put them in danger”, health officials have warned. No worries. I'm sure there will be a law to address this soon. Can't have anarchy where it's legal to eat a soap pod. Listen, I don’t want a law brought in. If people are stupid enough to eat soap then I say let them. eddie wrote: Listen, I don’t want a law brought in. If people are stupid enough to eat soap then I say let them. You're taking baby steps to the dark side. Congratulations. Next you will think people should be allowed to be dumb enough to drive without seatbelts. I think that people who have no real voice should be made to wear a seatbelt - like children. Agreed. Children must be protected. Grown ups should be free to be stupid. it's okay for the American to say that, since he is happy to let the idiot citizen die (or at least force them to pay for their own treatment) here we the tax payers have to pay the medical bill so it is cheaper to protect the idiots from themselves. And the idiot with out a seat belt, same deal it is lot more resources wasted dealing with a fatal accident than non fatal one. Let alone the idiot becomes a projectile to kill/injure the other occupants. veya_victaous wrote: it's okay for the American to say that, since he is happy to let the idiot citizen die (or at least force them to pay for their own treatment) here we the tax payers have to pay the medical bill so it is cheaper to protect the idiots from themselves. No doubt. Once you collectively repair broken bodies, you can collectively limit what people can do with their bodies. Which is why I laugh at people who think they actually own their own bodies in most countries. They don't. hell you can Own a car outright and not be allowed to drive it without a License and insurance. protections and even restrictions do not stop you owning something. Dude, you don't own your own body if you can't abuse it anyway you want to. Your analogy is stupid too. Just admit it and move on. The government regulates what you can do to your body. It does it in Australia and in the US. Self inflicted stupidity at its’ finest. Go Darwinism! Cass wrote: Self inflicted stupidity at its’ finest. Go Darwinism! It's the only way to improve the human race. Stopping the stupid people and letting them live, and then breed is doing no one any favors. So what you can do with your body is regulated, and yet you think it's yours? by your logic the fact you cant brutalise your dog means you don't own it. A dog is not really me. I don't think that's a good comparison. I'm talking about your body, not another beings.